Cath is worried about her friends. DanDan is struggling with the death of his ex, Lucy is drinking way too much and Steph has become closed off. A weekend away is just what they need so they travel out to Rockadoon Lodge, to the wilds in the west of Ireland. But the weekend doesn't go to plan. JJ is more concerned with getting high than spending time with them, while Merc is humiliated and seeks revenge. And with long-ignored tensions now out in the open, their elderly neighbour Malachy arrives on their doorstep with a gun in his hands . . . 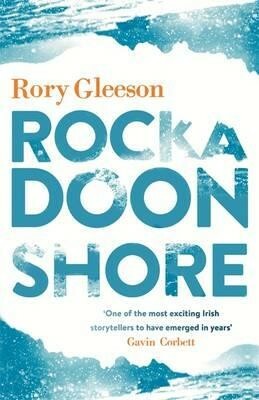 Honest, moving and human, Rockadoon Shore is a novel about friendship and youth, about missed opportunities and lost love, and about the realities of growing up and growing old in modern-day Ireland. Highly energetic and tensely humorous, it heralds a new and exciting voice in contemporary Irish fiction.